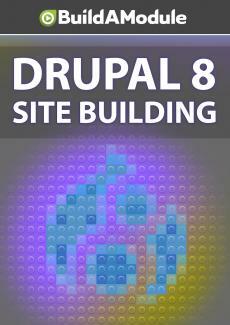 Solutions for chapter 3 of "Drupal 8 Site Building"
If you watch this before actually trying the quiz and challenges, you will only be cheating yourself. Let's talk through the answers to the quiz first, and then we'll take a look at the challenges. Question one, what can you use a view for? Check all that apply. The answer is B. Creating a list of content, and C. Creating pages. We've looked at a couple different ways to create pages but we were able to create a page that contains a list of our content with views and these other two options, adding a field to a content type, and installing a module, are done with other forms. Question two, what does the Filter criteria option do in a view? Check all that apply, and the answer? C. Filters content based on the value of a field. It doesn't convert your content to sepia, though Image styles which we'll cover later can convert images to black and white. It doesn't filter out which fields to display, that's done with the field settings in a view. And the field settings also determine the HTML element to be used for a field. Alright, question three. Why is it good to create data models instead of adding content as formatted HTML? The answer is A, B, C, and D. There are so many good reasons to model data instead of just using blurb of text and these are probably the most important. Question four, which best describes a content type? And the answer? D.
A collection of fields. A content type isn't a node though a node is a content type. A view can use content of a content type. And views is the most common way of viewing multiple pieces of content. A content type just provides the structure for that content. And question five, what is a node? And the answer? C.
A piece of content. Okay, now, let's talk through the challenges. So, our first challenge was instead of changing the elements you used for the Requirements field to span, remove the label and use the Rewrite results option to get the same effect. So, to achieve this requires a little bit of exploration. So, here in our view, we have our Requirements field and if we click it under these Style Settings we have the Customize field HTML and Customize label HTML. Instead of customizing the label, let's uncheck that. And let's even uncheck the Customize field HTML. So, what we wanna do is rewrite the results. So, I'll click that and click Override the output of this field with custom text. And in the text, what we're going to do is start with a replacement pattern that contains the content of the Requirements. I'm going to copy this field requirements, here, including the double brackets. And I'm going to add the Requirements label here in front of it. And I'll click Apply. Let's take a look. Okay, so this looks good except we have our label showing up here. Let's remove that and then go back to the field and let's uncheck Create a label, and click Apply. There we go. We'll talk in more detail about rewriting fields, later.